Most of us are well aware of the benefits of bicycling for our health and the environment, but did you know that bicycling has powerful economic benefits too? There’s a mountain of data showing how bikes contribute to a thriving local and regional economy; here are just a few highlights. A study done for the League of American Bicyclists estimates that bicycling related activities contribute $133 billion to our national economy, support over 1 million jobs, and bring in nearly $18 billion in tax revenue. People who ride travel to other places (like Asheville!) to ride them. This means that bike riders buy food, beer, coffee, clothing, hotel rooms, park permits—the list goes on. In fact, an NCDOT study showed that a bike tourist spends an average of $190 every day that they’re in our area. Bicycling brings money and jobs to Western North Carolina. Look at this: NCDOT invested $6.7 million in the northern Outer Banks to expand off-road paths and widen bike lanes in 2003. With a decade, the area was bringing in more than $60 million dollars every single year due to an increase in cycling activity. If we simplify this investment to the numbers we know, a $6.7 million installation price, a 10 year time period, and annual revenue of $60 million, then this investment of taxpayer dollars had a return of 791% over the 10 years, or 23% per year, in terms of revenue spent in the Outer Banks. This is not a coincidence. Bike infrastructure is a good investment. When Memphis, TN commissioned “temporary” bike lanes on Broad Avenue in 2010, bike-riding—and business activity—shot up practically overnight, and revenues have grown about 30% per year for businesses on this road ever since. Look at a case study for any major U.S. city that’s invested in bike infrastructure and you’ll see similar results. Check out these before and after images, which include Broad Avenue in Memphis, TN. Bike lanes slow down traffic. More people see your storefront (and smell your goods) when they’re cruising at 10 mph than whizzing by at 45+mph. The average cyclist spends more money on their daily route than the average car driver. This makes sense—cyclists have to shop more frequently to accommodate smaller carrying capacity, and it’s a lot easier to roll up and lock your bike in front of a shop than circle around looking for a parking space. Building bike lanes is far cheaper than building highways. It costs about $60,000,000 to build a mile of urban freeway, but on average less than $250,000 to build a mile of bike lane—that’s 240% less taxpayer money spent. Meanwhile, a Political Economy Research Institute study showed that bike infrastructure projects create over 30% more jobs than road-only projects. Endless Cycles singlespeed anodized cogs and spacers. Asheville, NC. If you think your business belongs in this list, please email us! A report by the Urban Land Institute shows that houses in areas deemed to have above-average bike and pedestrian infrastructure were worth $34,000 more than comparable houses in areas with only average walkability/bikability. Real estate investors take note: Learn to use the words “bike premium.” Property owners near protected bike lanes and greenways get the bike premium added to their property value, and property owners without access to those pieces of infrastructure lose the value of the bike premium. The Atlanta Beltline project is one of many direct examples of the bike premium increasing property values and increasing the tax base of a city. Cities with good biking and walking infrastructure have healthier residents and lower health care expenses. This increases the spending power of those residents, because they are not forced by poor health to spend their own scarce resources on expensive health care items. One study found that for every $1300 New York City spent on bike lanes, all city residents gained the equivalent of one full year of life at full health. Here’s the thing: in order for bicycle and pedestrian transport to really take off, so we can reap the maximum economic benefit, we need to invest in bicycle-friendly infrastructure first. If we build it, they will come (on two wheels). Asheville on Bikes and Asheville’s Bike Friendly Businesses are doing their part—and you can too, with minimal up-front cost. 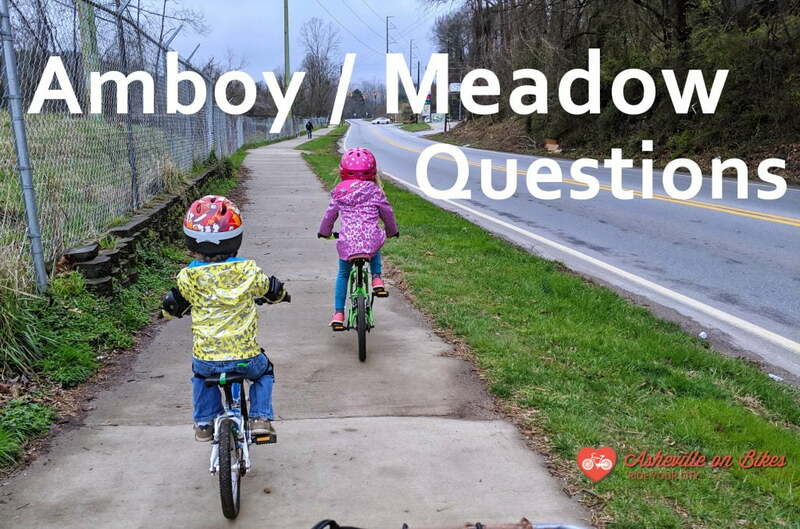 Contact Asheville on Bikes about becoming a business sponsor or to talk with us about ways to make your business more accessible to cyclists and pedestrians.